My wife & I have two timeshare weeks here at the Samoset Resort during the year and once we're unpacked I usually head off to one of my favorite locations: Owls Head. 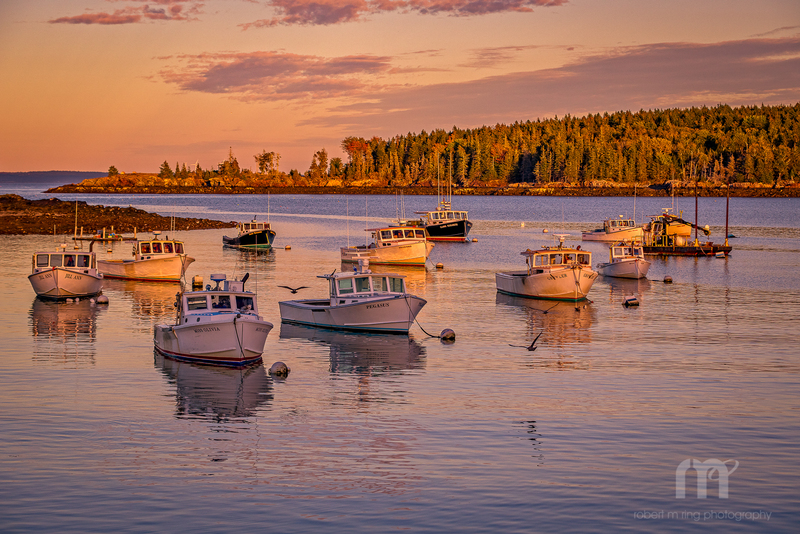 I really like this little harbor and for me it's great anytime of day and almost always offers something of interest. This was taken the first evening we got here and I just love the low light. Photo © copyright by Robert M Ring.